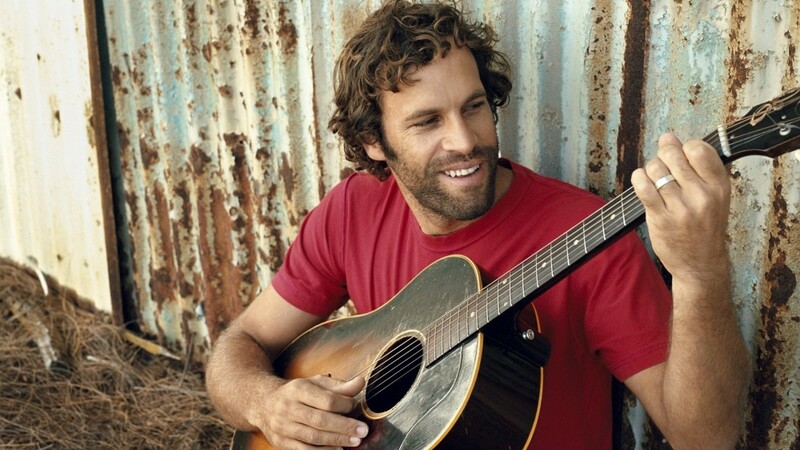 Grab those lax sticks, bros. Jack Johnson is coming to town to play Boston Calling in May. The acoustic strumming Hawaiian seemed to be the odd man out when the lineup was announced last week, while at the same time, single-handedly made numerous fans pumped for the festival. Johnson has always been a solid festival choice, mostly because his music is so goddamn happy. He arguably launched a genre of feel-good folk in the 2000s, with artists like Donavon Frankenreiter, Matt Costa, and Joe Purdy seeing success, as well. Johnson is the one who continued to grow once that genre gave way to the popularity of sad-folk (see: Bon Iver) and stomp-folk (see: The Lumineers), and is still an enormous name in the music biz. And yet, Jack Johnson has always conjured up mixed opinions. It’s his very basic approach to acoustic songwriting that has both gained him an enormous good vibes following, as well as countless music snob haters. No, he’s no Mozart, but sometimes less is more, and when Johnson strategically places some steel drum over his four-chord strums, people go wild. While music fans often prefer to feel sad over feeling happy, there are plenty of other artists out there who give off some posi-vibes. Some of them, like the five listed below, could be comparable to Mr. Johnson. So whether you’re looking for more acoustic sunshine this winter, or you’re looking for a good excuse to move on from Jack Johnson, check out this hearing aid for some new ideas. Upstate New York ramblers Assembly of Dust is more than just one man and a nylon-string guitar. As a matter of fact, the band, which is a project that lead man Reid Genauer started when his previous band Strangefolk dissolved, often journeys into massive locked-in jams. What traces to Jack Johnson are Genauer’s simple acoustic progressions that create a foundation for these jams, as well as the relaxed porch-rocking vibes that the band’s tunes exude. With Assembly of Dust, you’ll get fewer slight hints of reggae and more dashes of bluegrass, but the sunny outlook is still very much present. San Diego quartet The Donkeys doesn’t sound much like Mr. Johnson at all, but the band’s garage-soul blend buys into more honky-tonk beach party hooks that the typical indie band powerchord standard. For example, the buoyant Rhodes-riddled groove of “Excelsior Lady” reflects likeminded lightheartedness, which could easily provide backup for Jack if he put a little pep in his step. While Jack Johnson has become a surfer’s lord and savior, The Donkeys are more transcontinental, digging into deep-fried southern soul as much as muddied up basement riffage. Ted Lennon is one of the easier comparisons to Jack Johnson. Not only do they both play no-frills acoustic rock and wear sandals a lot, but the two encompass that easy-listening brand of Pacific Ocean comfort. While Johnson typically strums more basic chords, Lennon stretches out for more finger-plucking styles, giving off a rootsier attitude that could shuffle loosely into alt-country playlists, while still grasping the surfer simplicity. Local boy Ryan Montbleau (he lives in Lawrence) is a modern-day rambler, seemingly always on tour and having the ability to tell vivid and literal stories over brisk finger-picks. While Montbleau often gets grouped into the jam band circuit, due to his stretched out live performances, one of his most notable qualities, much like Assembly of Dust, is his vocals. Whereas Johnson carved out a personality with his soft and not particularly audacious range, Montbleau’s soulful croon is a treasure. He and his band mix pop appeal with bluegrass romps and toned-down folk numbers for a mixture that could rub any listener the right way. It’s no surprise that Malaysian singer-songwriter Zee Avi is mentioned in the same breath as Jack Johnson, seeing as she is signed to his label, Brushfire Records. The young ukelele strummer and multi-instrumentalist is slightly more dimensional than Johnson, but produces a similar pacified vibe of reef-rock. Perhaps most comparable is her vocal tone, which is coy and whispered, making her an appropriate counterpart to Johnson and his rabid following.